To design and develop fast and effective microwave wireless systems today involves addressing the three different ‘levels’: Device, circuit, and system. This book presents the links and interactions between the three different levels rather than providing just a comprehensive coverage of one specific level. With the aim of overcoming the sectional knowledge of microwave engineers, this will be the first book focused on explaining how the three different levels interact by taking the reader on a journey through the different levels going from the theoretical background to the practical applications. Antonio Raffo is a research associate at the University of Ferrara, Italy, where he teaches courses in semiconductor devices and electronic instrumentation and measurement. His research activity is mainly oriented to nonlinear electron device characterization and modeling and circuit-design techniques for nonlinear microwave and millimeter-wave applications. Antonio has coauthored over 100 publications in international journals and conferences. He is a member of the Technical Programme Committee of the IEEE INMMiC conference and serves as an associate editor of International Journal of Numerical Modelling: Electronic Networks, Devices and Fields. Antonio is a member of the IEEE Microwave Measurement Technical Committee (MTT-11). 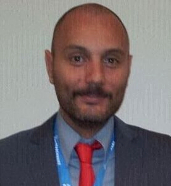 Giovanni Crupi is a tenure track assistant professor at the University of Messina, Italy, where he teaches microwave electronics, laboratory of wireless technologies, bioengineering, and optoelectronics. Since 2005, he has been a repeat visiting scientist with KU Leuven and IMEC, Leuven, Belgium. Giovanni’s main research interests include small and large signal modeling of advanced microwave devices. He is a member of the Technical Programme Committee of the IEEE INMMiC and TELSIKS conferences and serves as an associate editor of International Journal of Numerical Modelling: Electronic Networks, Devices and Fields. 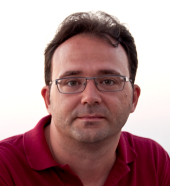 Giovanni is the chair of the IEEE Microwave Theory and Techniques Society (MTT-S) Fellowship program. "In this book, "Microwave Wireless Communications: From Transistor to System Level," a team of well-known industry and academic experts has been assembled to provide a thorough treatment of these topics. The authors do not simply repeat standard explanations of these subjects, but present unique approaches, perspectives, and alternate points of view that greatly enhance one’s understanding of these complex ideas." 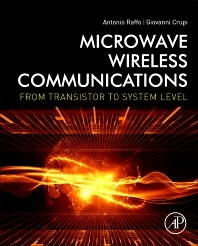 "I believe that Dr. Antonio Raffo and Dr. Giovanni Crupi, the editors of the book "Microwave Wireless Communications: From Transistor to System Level," have done a great service to the microwave and RF community by putting together important and relevant information on systems, circuits, and devices in a single volume with contributions from authors that have extensive research experience and expertise in the specific technical areas and topics included in each of the eight chapters."